Full disclosure: I live right across the street from the Apple Store. I can spend as much time as I like running all the new systems. That said, I only review products that I have actually purchased and used on a day to day basis. 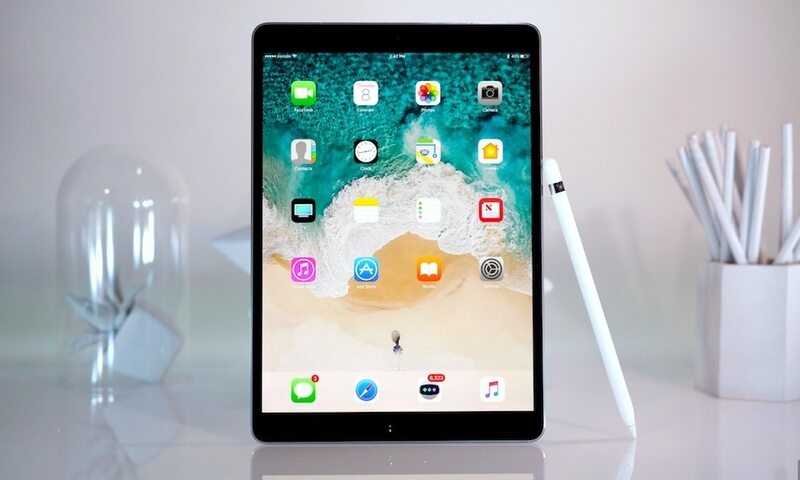 I am planning to get the new iPad when I sell my current one. But until then, I will just provide my first impressions after spending about 30 minutes with the machine. The New iPad Pro is fast, really fast. It is not that the previous models were slow. But speed is relative. It is only meaningful when compared to something else. The previous iPads were the fastest tablets on the market. The new ones are noticeably faster than the ones they replace. The only thing I really want to convey is that all the stuff Apple said in the keynote about the speed is true. It is not just theoretically true. It is experientially true. You can feel it the moment you start using it. Whether it is swiping between pages of apps, launching apps, or scrolling long pages within apps such as Safari. Everything you do is buttery smooth. One of the things I wondered was why Apple even bothered with the new size. It is not that much larger than the screen it replaces. To be exact, it is 20% larger according to Apple. The device is only a little larger than the previous one. Unless the devices are side by side, you would be forgiven for mistaking the new one for the old one. That is not to say that there are no differences. The new one has a bit less bezel. But unless you are very used to looking at the various Apple devices, it will not be easy to tell at first glance. That said, the difference is definitely noticeable, and in a good way. I didn’t feel like I was holding a larger device. But I did appreciate that the screen was bigger. I did not, however, notice any difference in weight. The size increase enabled a much more comfortable typing experience both with the onscreen keyboard and the accessory keyboard. A little extra size makes a huge difference in typing. Everything on that beautiful display is a visual delight. Even the home screen full of app icons pops. There is a good chance that your television does not provide as nice a viewing experience for video entertainment. But there is more to the display than how it looks. I have already mentioned how fast it is. That is worth repeating here. When you touch the display, there is a one to one relationship with what happens on the screen. When you swipe a screen, if feels like you are moving a physical object that is the screen of icons, or the page of text or photos. Beyond even that, the drawing experience has become even better. There is a lot of noise about how the screen improves the Apple Pencil. That is true. But the screen also improves drawing and writing with your finger, and likely any other stylus. On the new iPad, drawing and writing with my finger feels as accurate and responsive as drawing and writing with the Apple Pencil on the previous iPad Pro. Almost all of the reviewers said the same thing about the operating system. OS 10 feels out of place on this new iPad. I am currently running the developer addition of iOS 11. Once you’ve used it, you will not want to go back. This screaming fast, big, beautiful iPad Pro needs an OS worthy of the hardware. And with iOS 10.3, it simply doesn’t have it. The biggest problem with iOS 10 is iOS 11. I have it. I’m running it. And there is no going back. And I can’t recommend anyone purchase another iPad running iOS 10. Sure, iOS 11 will be a free upgrade this fall. But the iPad it was made to run on is here now. It would be a little like buying a Windows XP machine when what you really wanted was Windows 10. That said, if you need a professional-grade iPad, the $649 10.5” iPad Pro is all they say it is. Assume that I will have purchased one in the next few weeks. But don’t expect me to formally review it until iOS 11 is released to the public this fall.